Are you stressed out, not feeling like yourself ? Check out these free cell phone apps to help you reduce and cope with stress. These are availabe to download from the App Store or Google play. Virtual Hope Box provides help with emotional regulation and coping with stress via personalized supportive audio, video, pictures, games, mindfulness exercises, positive messages and activity planning, inspirational quotes, coping statements, and other tools. With this app you can learn about and practice mindfulness and meditation through a process called STOP, BREATHE & THINK. 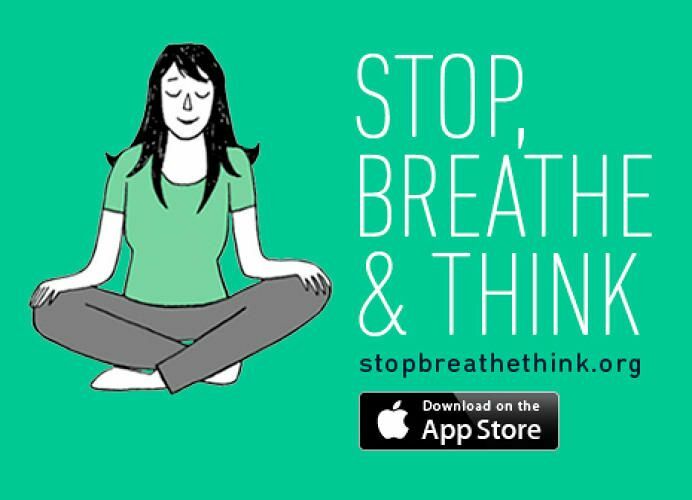 With this app, you can practice Mindfulness and Meditation through a process called STOP, BREATHE & THINK:With this app, you can practice Mindfulness and Meditation through a process called STOP, BREATHE & THINK:With this app, you can practice Mindfulness and Meditation through a process called STOP, BREATHE & THINK. iChill can help by teaching you the Community Resiliency Model, a set of self-help skills. You will learn simple info about how stress affects the mind and body. Visit iChill at www.iChillapp.com or load the app on your smart phone.